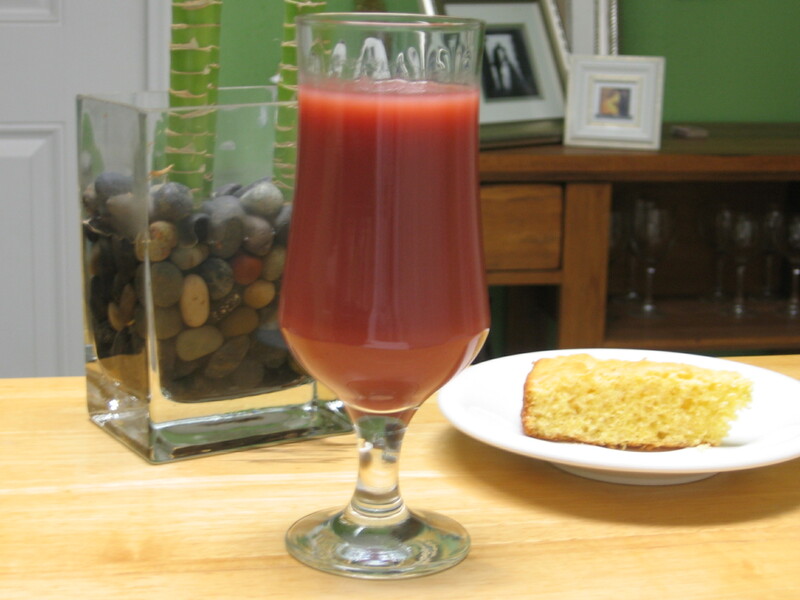 Over the weekend I tasted, for the first time, a very popular all natural fruit juice. It was delicious. But what is great about it is that the recipe is right on the label! What a brilliant idea! Well, seeing that they’re making it so easy to mix a tasty concoction, I decided I needed to try making it on my own to see if it tasted just as good. I went out and bought the freshest ingredients I could find. Using a juicer, juice all the ingredients together. Shake well before drinking. You can store it in the fridge for a couple of days, but drinking it fresh is best. This turned out so great…even better than the one I bought…shhhhh. And so healthy. I will definitely be making more of this and other combinations they have. I hope you all try it and let me know what you think. Enjoy! Last weekend my mother and I decided that we needed to stop putting off the gardening we’ve been talking about for months. 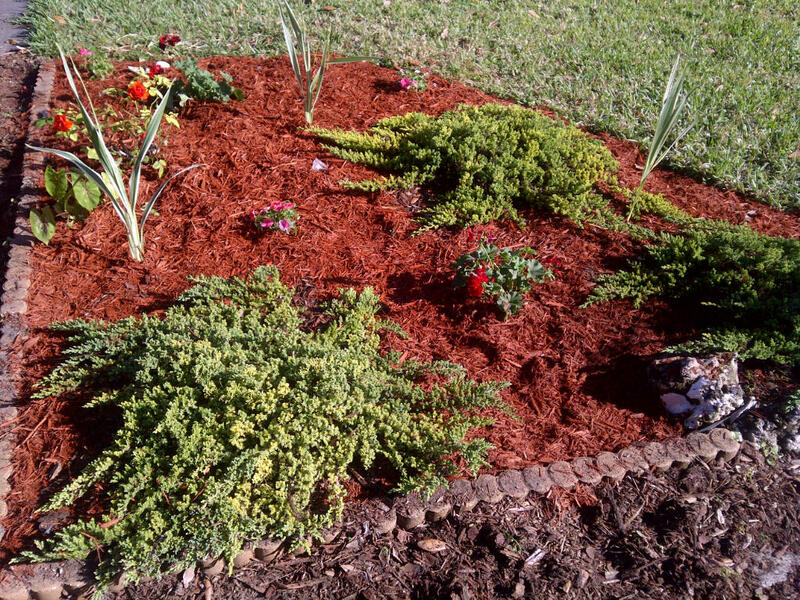 We just wanted to make the entrance of their home less cluttered and low maintenance, without spending too much money. We transplanted some grasses from the back yard to the front, and bought some flowers which will eventually fill in the space nicely. We also got a great workout. Shoveling dirt is hard work! 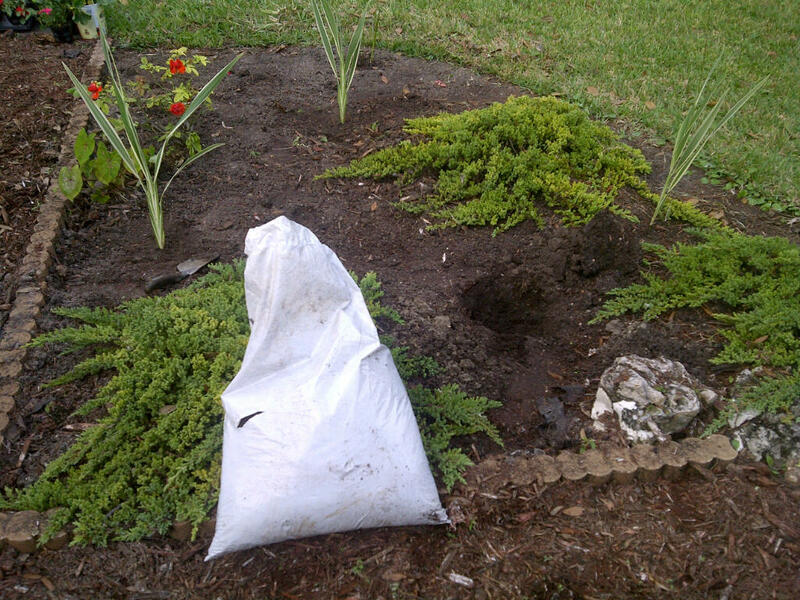 Did you know that general gardening can burn up to 272 calories per half hour, depending on your weight. The Center for Disease Control and Prevention suggests gardening as a great way to get some of the 2 1/2 hours of the minimum weekly activity recommended for health. I know it’s winter, but if you live in warm climate areas, take time to enjoy the outdoors and while beautifying your outdoor space at the same time. As promised, I’ve come up with an eye serum that I really like. It’s a simple recipe to make and you’ll love the results. As always, my favorite natural beauty ingredient plays a major role in this recipe. Organic extra virgin olive oil softens and protects the skin. It is rich in antioxidant phyto-chemicals and essential fatty acids. Vitamin E oil is rich in antioxidants to keep fine lines and wrinkles away. It’s also functions as a natural preservative, keeping your home-made concoctions fresh for up to 12 months. Avocado oil is a rich semi-fatty oil. It is rich in beta-carotene and vitamins B, D, and E.
Grapeseed oil is rich in omega-6 and vitamin E. It helps nourish and regenerate the skin. I also used orange essential oil for its scent and it’s anti-inflammatory properties. Combine all the ingredients and shake vigorously. With just a drop, apply around the delicate eye area, making sure not to stretch the skin. Use it day and night. Enjoy! There are so many things you can do with eggshells, and I’m not just talking about using them as compost. Last weekend my father was very ill. He must have picked up a stomach bug. Needless to say, he couldn’t keep anything down. My mother made him a home remedy passed down from her mother – eggshell tea. My father wasn’t very happy about drinking it, but he did. Within a few minutes, his stomach settled and the vomiting stopped. I don’t know why this works, but my grandmother use to say that “even though you can’t keep anything down, you should alway be able to keep this tea down. If you can’t keep the tea down, you must immediately go to the hospital, there is something more serious going on”. Bring the water to a boil, then add the eggshells and allspice. Boil eggshells for five minutes. Strain the tea and serve. It doesn’t really taste like much, but if you need a little more flavor, use a pinch of salt instead of sugar, as sugar will upset your already sensitive stomach. I hope this works the next time you’re feeling a little under the weather. Enjoy! My new favorite natural beauty ingredient is vitamin E oil. For a while now I’ve been searching for an effective treatment for the delicate skin around my eyes. Eye creams are the most expensive creams out there, and I haven’t yet been able to come up with a home-made treatment that I like. However, vitamin E is an essential ingredient in anti-aging moisturizers, especially eye creams. Vitamin E oil has some inherent qualities that enable it to provide protection to our skin from the harmful effects of free radicals. Vitamin E oil is a naturally occurring oil. It acts as an antioxidant and prevents the formation of free radicals on the skin cells. It also has anti-inflammatory properties. Due to presence of these essential qualities, it is good for the skin. Vitamin E oil has an amazing anti-aging effect on skin. It reduces the appearances of the visible age spots, fine lines or wrinkles and gives you a younger looking skin. I’m using it undiluted around my eyes, but it may also be mix in with any light oil or your favorite moisturizer. It is a bit thick, so use it sparingly. 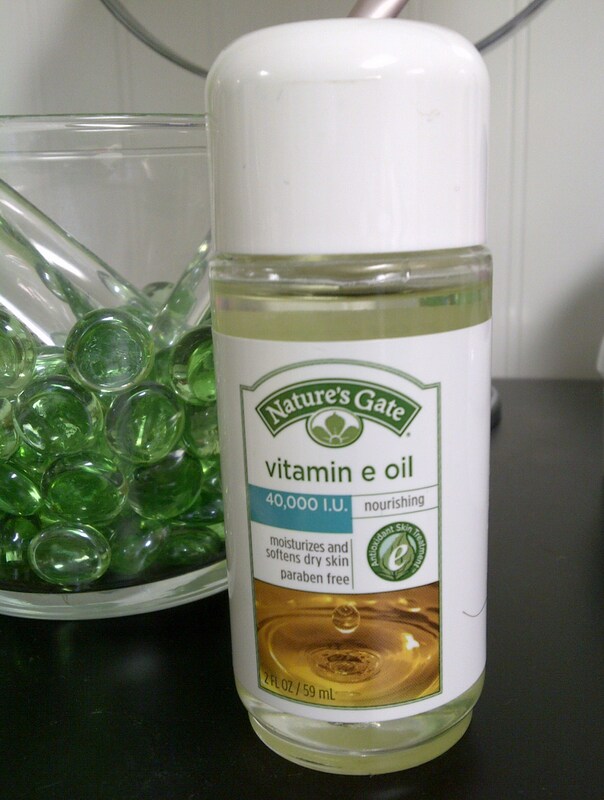 Vitamin E oil is also great for scars, sunburns, and stretch marks. 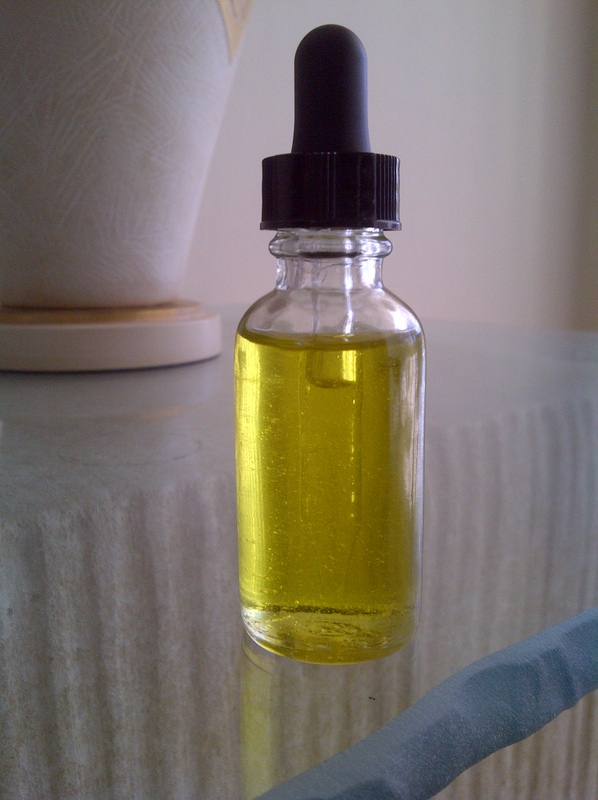 I’m working on an eye oil using vitamin E oil which I will share with you, hopefully soon.